The Nobu Hotel, Restaurant and Lounge at Caesars Palace is a strategic expansion designed to be the most exquisite boutique hotel experience in Las Vegas, Nevada. 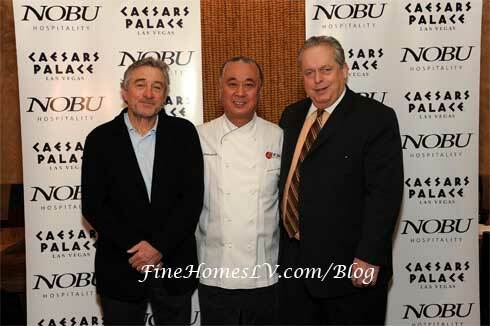 Caesars Palace Las Vegas and Nobu Hospitality announced that they have signed a non-binding letter of intent to develop the world’s first Nobu-branded Hotel, an innovative concept that will integrate an exclusive hotel tower with the first Nobu restaurant and lounge on the Las Vegas Strip. The planned development would further the tradition of world-class accommodations and service that is synonymous with the resort’s luxury brand. In announcing this tactical relationship, Nobu Hospitality has reinforced its focused growth strategy, expanding through the complete hospitality spectrum. Under the plan, the interior of the Centurion Tower at Caesars Palace will undergo a multi-million dollar renovation to create the Nobu Hotel within the resort. The 180-room Nobu Hotel will feature 16 suites and a penthouse with a stylish interior design that showcases natural materials, fused with Nobu’s signature Japanese elegance. Nobu Hotel guests will enjoy private check-in and the unique benefit of room service from Nobu’s acclaimed culinary team. The centerpiece of the renovation is the Nobu Restaurant and Lounge. 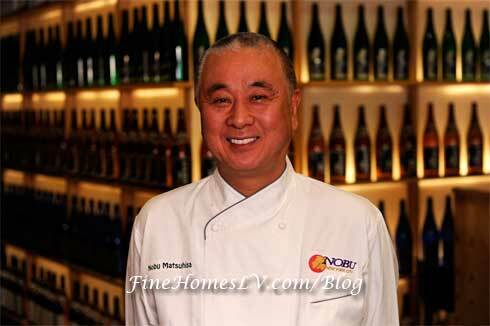 Classically trained in Tokyo, world renowned chef Nobu Matsuhisa has leveraged his life abroad in South America and around the world to create a culinary and hospitality brand with universal appeal. The restaurant and lounge will span 9,500 square-feet at the base of the Nobu tower, near the existing Appian Way at Caesars Palace. The completion of this transaction is subject to a number of conditions, including, without limitation, the negotiation of definitive documentation and the approval of this transaction by the board of directors of Caesars Entertainment Corporation and the shareholders of Nobu Hospitality.